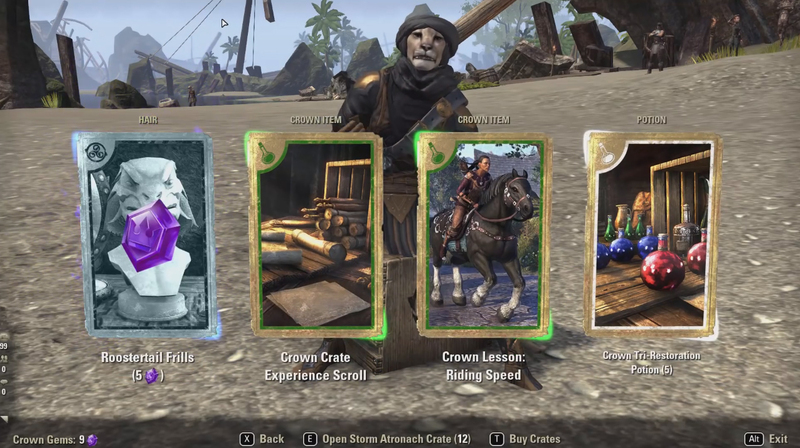 Crown crates are new items that can be purchased from ESO Crown Store. What’s so special about these items and what benefits do they give? These chests contain various items and when you open them you receive stuff that can be used while playing. You can find different pets and mounts (even exclusive and unique) and other consumable items. When you buy a crate and open it you receive 4 different items. There is a small chance of getting 5th item and if you are lucky you will get it. As you see sometimes you will be receiving 5 items but most of the time 4. All the items in the boxes are distributed randomly. Every time you open a box you will be getting randomized items. Some mey satisfy you others may not. You should understand this before you buy boxes. You may receive cool or useless stuff. Everything depends on RNG. Note: right now there is no information about the probability of rolling particular item. Game developers don’t tell any information about this. That's really bad news because players can't estimate their chances of winning what they want. Sometimes you will be getting items you already have due to RNG. If you get an item you already own from Crown Chest you receive a new type of resource – Crown Gems. Every time you receive similar item you get 5 Gems. You also have an option to exchange some items you receive for Crown Gems if you wish. This conversion can be made anytime. You can manually convert potions, poisons, riding lessons, experience scrolls, and other utility-type items. You can get a lot of new items, mounts and pets. If you are lucky you will receive something exclusive or unique for your collection. The price of one chest is much lower than total value of all the items you may get. It will cost you less money to buy the chest rather than purchasing all the items independently. You can find new and exclusive stuff! Even the items you might have missed in limited time offers. The only way to obtain Crown Crates is to purchase them from in-game store called Crown Store. We believe you know how to use it. One crate will cost you 400 crowns. There is also an option to buy several crates at a lower total price. 4 chests will cost you 1500 crowns (you save 100 crowns). 15 crates will cost you 5000 crowns (you save 1000). As you see the best option is to buy the largest package. You will save a lot of in-game currency. The video below contains more information about the system. A player in the video purchases multiple boxes and opens them one by one. Then he demonstrates the results. He also tells his opinion about the valu of items and their usability. 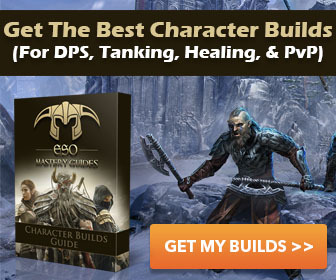 Many players ask if purchasing these crates is a really good thing. Right now everything is not so clear. Most players think that Crown Chests are useless because they cost a lot and the wards you receive are RNG based. You may open 10 chests and receive only potions, food and other useless consumables. These consumables are really not so good because most of the players have enough crafting skills to create own potions and food. Paying real money for what you may craft in the game is not a very good idea. On the other hand RNG system may surprise you. But we think that the probability of getting something really cool like one of Atronach mounts is very low. It’s much better to buy them for gems directly. The big disappointment in all this system is that the rewards are useless and the price is high. If ZOS wants to make this system live they should increase the rewards, add better items and decrease price. Otherwise this system is useless.